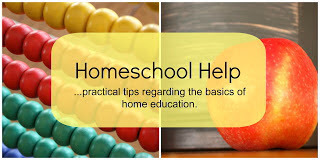 This weeks topic with the homeschool help series is "homeschool groups." Our homeschool group is a ministry of our local church and up until this past year was only open to church members. While it has opened up, it's goal is still a group of like minded homeschool families providing an environment for our children to be safe and experience many opportunities together. We have regular field trips (at least two a month) that are anything from educational to park days. This year we went ice skating, toured a fire station, Legoland, toured a recycling facility, strawberry picking, made blankets for project Linus, had a blessing bag party, and many more opportunities! We participated in a Spanish Co-op, a Lego Engneering class, and an art class all with our homeschool group as well. We have monthly mom's meetings. Every other month we have either a speaker or a topic of discussion related to homeschooling, and the alternate months we do a "moms night out." Homeschooling can seem isolating, but being part of a group creates an amazing sense of community. When I have a question or concern, or just want a friend to chat with at the park....these are the ladies I go to. There are such valuable resources found in these woman who have varying experiences and backgrounds. Our homeschool group gives my kids somewhere to belong. They experience all the benefits of school-- field trips, holiday parties, and deep friendships, while also providing me a great support group of like minded moms to do life with. Our homeschool group experience has been amazing, and I honestly cannot imagine homeschooling without this great resource we have been blessed with! Don't forget to check out the other awesome posters from the Homeschool Help Series to get their unique perspective! Chareen @ Every Bed of Roses-- Homeschool Support: Where do you get your homeschool support ? Hwee @ The Tiger Chronicle-- Groups - Home Ed and Otherwise: Our successes with different groups. Erin @ Seven Little Australians-- It Takes a Community: Erin has been involved in home edcuation support groups for three decades. She shares an overview of that journey and the importance the groups have played for her family. Bernadette @ Barefoot Hippie Girl-- Unable to Commit: A sad story of how the inability to commit sunk a home school group. 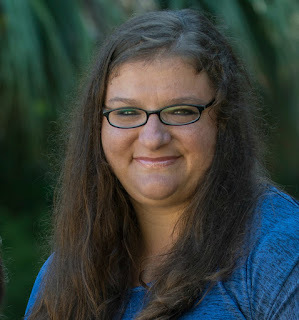 Julie @ Highhill Homeschool-- Local Homeschool Group: I will always be a member of a homeschool group. Savannah @ HammockTracks-- Local Homeschool Support Group - A Breath of Fresh Air ...no blog, forum or online group recharges or equips me to be a better home educating mother, like my local support group. It's great that you have found such a like minded and active group that is working for both you and the kids. Thank you! I know we are certainly blessed! I ♥ our homeschool group! We recently set out on a year-long RV trip and we will definitely miss our homeschool group! It was such a blessing and support. You are so right about homeschool groups being important. Over our homeschooling career we have belonged to a number of groups. One exploded over personality differences, children's friendships were sacrificed in the process. We moved and so lost our other group. In our new state, we have a new support group, but it is taking us a long time to get fully involved there. Our one constant is has been an online support group called Secular Homeschool (www.secularhomeschool.com). My homeschool curriculum also has forums where I find support. Support groups are just so very important to homeschooling success! Thanks for sharing! A year long road trip sounds SO MUCH FUN!!! That is a dream of mine someday. I know we would miss the community, but what a fantastic adventure!!! Linda, homeschool groups certainly can be hit or miss. We have moved around a lot and getting settled into groups and communities can be quite a challenge. You are very right in the support of the online communities as well. I am a part of the Well Trained Mind Forums and the support, encouragement, and advice from places like those are oh so very important! :) I am glad you found a place like that!